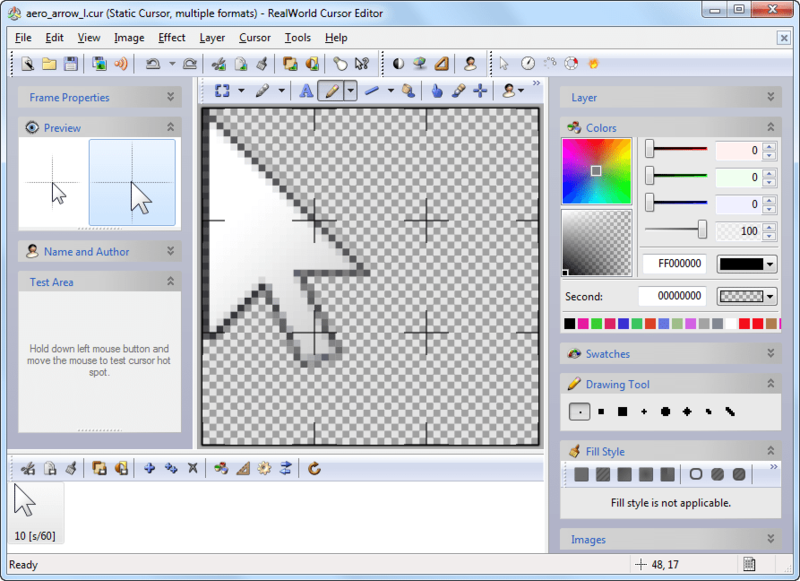 Mouse Cursor editor for C. Shareware. Edit a cursor & save the C code to use it. Works great. display 16 colors simultaneously and a Microsoft-compatible mouse. feature that allows you to get help on any specific function you desire. panel button or area on the screen you would like help with. you will recieve as a registered user, please read the file ORDER.ME. generously commented example source code. provided with the on-line help feature in the MCDT. *.CUR One dozen pre-made mouse cursors, ready for use. created by MCDT in your code. A must! through the code to see what is going on!